WEBINAR SNAPSHOT: Learn how the Tennessee Supreme Court's Aragon v. Aragon ruling regarding "reasonable purpose" changes how you advise parents either proposing or blocking a relocation. The Aragon decision clarifies that the rigid structure of TCA 36-6-108 – in which the question of the best interest of the child is reached only if and when a parent opposing a move proves one of three grounds – suggests that the “reasonable purpose” ground is not intended to be a guise under which a trial court may determine whether a parent’s decision to relocate is wise or fair or in the child’s best interest. Use this informative 60-minute on-demand webinar and learn how this decision and other changes affect how you guide clients through parental relocation issues. Parental Relocation in Tennessee: The Impact of the Aragon Decision — is just $107. Kevin W. Shepherd has more than 28 years of experience and is the owner of Shepherd and Associates, PC, with an office located in Maryville. 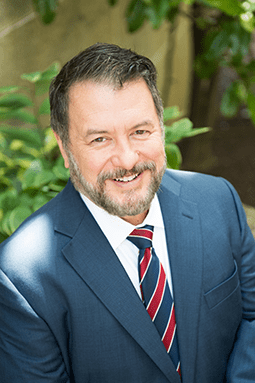 He practices in the areas of family law, divorce, personal injury, criminal defense, appellate practice, and general practice. He is a Tennessee Supreme Court Rule 31 family law mediator. Mr. Shepherd is a member of the Tennessee Bar Association and is a well-received speaker at legal seminars. He earned his B.S. degree from LeTourneau University in Longview, Texas; and his J.D. degree from the University of Tennessee at Knoxville.